When I travel, I make it a mission to try new things. Obviously the destination in itself is a new experience, but I also really try and push myself to try things out of my comfort zone. I am blessed to have visited a few new places this past year, but I am more proud of what I did while I was there. For those of you that know me, I do NOT get in the ocean. I am terrified of sharks and just what may be under the water in general. But on a recent trip to Turks and Caicos I was struck by how clear the water was and how I could see everything. The best part was that after watching the water for 4 days, I never saw anything, hardly even a fish. So after not even stepping foot in the ocean for ten or more years, I not only got in the water, but also kayaked in the ocean! I had to have a friend take a picture because I knew my husband and kids would not believe it. It felt so good to face that fear and to have fun in the water like everyone else. So on my next trip to Jamaica, I took this a little further. The water was not as clear, but I was game anyway. I once again got in the water and this time I tried stand up paddle boarding. I do not suggest trying this for the first time after two rum punches, but it was fun despite the falls. It just felt like such an accomplishment for me. Since I was not great at it on the first try, I am already planning on trying it again in Costa Rica in December. I have to redeem myself. On each trip this year I have also tried so many new foods. It really gives you a sense of place to try local specialties. In the past couple of months I have tried callaloo, festival, plantains (note- I hate bananas so this was a hard sell for me), guacamole , sushi (yes I was very late to the game on both of these), and mallorca to name a few. I have eaten pretty much anything put in front of me and have enjoyed almost all of it. The food is such a big part of any destination and I have great memories of each trip that revolve around the food. So many of my great memories involve a dinner with friends or a sunset cocktail. So what next? I am visiting Cost Rica in December and already have plans to rappel a waterfall, walk a wobbly bridge (the name alone makes me dizzy), zip line, and take a mud bath. I would love to hear some of your adventures too! I am now an Aman Junkie! 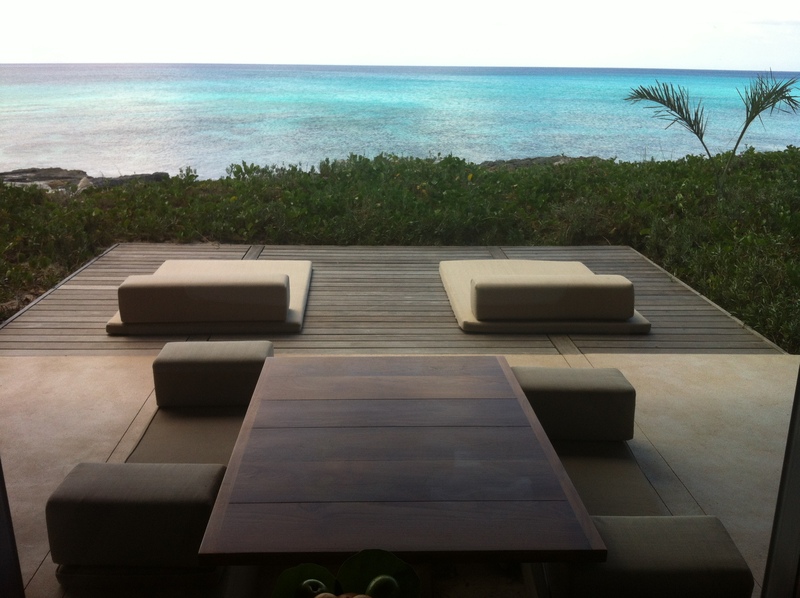 I just returned from 4 days at Amanyara in Turks and Caicos. This was the most peaceful and relaxing vacation I think I have ever had- at least since having kids! 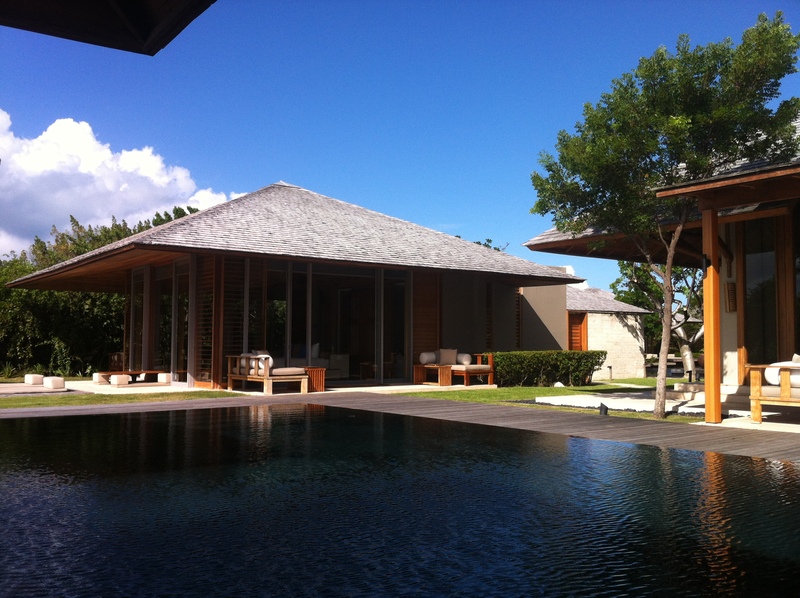 The property is secluded, private, absolutely gorgeous and has impeccable service. And the water on this island is brilliant turquoise and so still that it almost looks like glass. Stunning! The villas are designed with a central living area surrounded by infinity and reflecting pools with individual rooms scattered around for privacy. The bedrooms have 3 full glass walls for seamless views of the outside. The villas also come with your own chef and host and the level of service is just outstanding. I have simply never felt so pampered in my life. Homemade guacamole for a snack, mojitos by the pool, my laundry done while I am at the beach. I could get used to this! So now that I am spoiled for life, I simply have to visit other Aman properties. Next on my list is the spectacular Amangiri. I discovered they have a die hard fan base known as Aman Junkies. There is no set number of properties to visit to become an official junkie, but word has it that after 5 (and some say 7) visits, that you are gifted with an Aman Junkie tshirt. This tshirt is now on my bucket list! Are you an Aman Junkie too? ?